There are some employers that will do anything possible to avoid helping their workers injured on the job. Oklahoma employers are suppose to advise workers on the job site about the process for workers’ compensation, but that doesn’t always happen. As a Tahlequah worker’s compensation attorney, I’ve helped employees here in Cherokee County fight for medical compensation benefits and other expense related to workplace injuries. 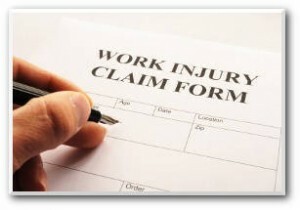 Under the Oklahoma Workers’ Compensation Act, employers are suppose to upon receipt of notice that an employee has been injured, provide in some cases the employee with reasonable and necessary medical treatment, and to commence temporary compensation. But as you’ve discovered that doesn’t always happen. If you’ve been hurt on the job you need a trusted ally in your family’s to evaluate the situation. A knowledgeable Tahlequah workers’ compensation attorney can assist injured workers with the many complicated aspects of trying to evaluate a possible claim in a timely manner. As a Tahlequah workers’ compensation attorney, I’m able to handle cases that are heard in Oklahoma’s two courts that handle these type of injured workers cases in nearby Tulsa as well as in Oklahoma City. Workers’ compensation claims are much different than other types of legal action, because you can select the venue where you want to file the case. For a free consultation, contact the Wirth Law Office-Tahlequah where we handle workers’ compensation cases for Cherokee County residents; call (918) 458-2677 or toll free (888) 447-7262. Or, you may enter a legal question in the form at the top right corner of this page.